This is the community newsletter for Affetside Village, in Lancashire, England. This newsletter is published every couple of months, or thereabouts, to inform village residents and supporters of the village of forthcoming social events, and also to keep them abreast of what is happening in the village generally. Thank you to everyone who turned up to the Affetside Society AGM. We now have an outline of most of the events that will be taking place during 2014. Everyone is welcome to these events, so please bring friends and family too. The more the merrier! Furhter down in this issue of The Link, you will find a summary of the events, so please make a note of them in your diary. More information will be available about the later events nearer the time. If you are new to the village, please look at our website www.affetside.org.uk. You will find a calendar of all the events and other useful information about the village, including the much visited weather information. If you are interested in seeing what we got up to at previous years’ events, check out the gallery! Last year’s bonfire event was successful and everyone appeared to have a great time, but the bonfire site now needs a tidy up. If you can spare an hour, please come along to the bonfire site on Saturday 22nd March at 11 a.m. “Many hands make light work” so it should take no time at all. 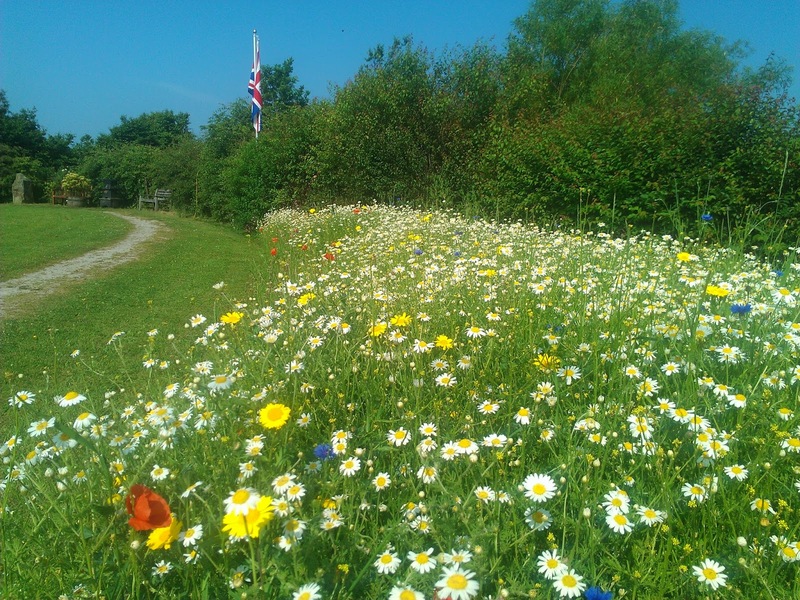 The annual wildflower seed sowing day will take place on Saturday 12th April at 1.30 p.m. on the Village green. Each summer we get a splendid display of flowers, so please join us in sowing the seeds. All are welcome to help and it would be great to get the support of local children again. Free refreshments. The Palm Sunday story will be played out by children this year. Meet at the Affetside Cross at 2.30pm prompt on Palm Sunday, 13th April. The procession will lead up to the Church where the service will continue. Come along to the free craft activities for children and refreshments will be available for all. There will be a free gift for children and some palm leaf mugs which have been made by students for the occasion. If you are having a Spring clear out, please hang onto your old clothes, shoes, handbags, belts, curtains, bedding (sheets, duvets covers, but not duvets). Keep them for our bi-annual clothes collection. Last year this raised nearly £400 which is a great help towards the maintenance and insurance of the Green. The next collection on Monday 12th May, will be from 68, Watling Street (Opposite the Green). Please leave your bags by the garage before 10 a.m. in the morning. This year’s French Boules Competition will be taking place on Sunday 8th June at 1.30p.m. There is a much coveted trophy for the winning adult and winning junior. Everyone is welcome, so please bring friends and relatives. French food and wine will be provided. The cost of the food is included in the boules entry fee (£4 for adults and £1 for children). French fancy dress is optional. The turbine application at Birches Farm was overwhelmingly defeated by 17 votes to 4 at the last Planning Committee meeting in Bolton. Make a note of these dates and details will follow nearer the time. These dates are available on the online calendar. Saturday 22nd March – Bonfire site tidy up. 11 a.m. at the bonfire site. Sunday 13th April – Palm Sunday procession and service. 2.30pm at the Affetside Cross. Monday 12th May - Clothes collection* from 68 Watling Street (Opposite the Millennium Green), please leave bags by the garage. Sunday 8th June – Annual Boules Tournament at 1.30pm on the Village Green. £4 for adults, children £1. Saturday 12th July - Summer BBQ at 5pm on the Village Green. Sunday 30th November – Santa will switch on the Christmas tree lights at 6pm prompt. Sunday 21st December - Christmas Carol Concert at 3.30pm with Tottington Brass Band. We offer very warm welcome to all the newcomers to Affetside. Amongst those new to the village are Rebecca and her team at the Pack Horse Inn. Judging by how busy our local pub has become, this has been a very successful refurbishment. So if you haven’t popped into the Pack Horse since the alterations, do take a look. It’s a massive transformation and a great place to warm you up on a cold night! The Affetside Society AGM will be held at The Pack Horse Inn on Tuesday 11th March at 7.30pm in the Pack Horse. Do come along to discuss anything concerning the village and input into the planning for all the events for the forthcoming year. EVERYONE is most welcome. The local police force hold regular meetings to liaise closely with the community. All local residents are welcome to attend the meeting, so if you have any concerns relating to crime or antisocial behaviour in the area, please go along to the next meeting. The next PACT (Police and Community Team) meeting will be held above the Tottington Library on Tuesday 18th March from 6.30 pm to 7.30 pm. The applicant at Birches Farm has withdrawn from his appeal so he can focus on a new, even larger wind turbine. The application will be heard by Bolton’s Planning Committee in Bolton Town Hall on 6th March at 2 pm. If this application gets the go-ahead it will set a precedent and more applications are bound to follow. So, if you are unhappy about the prospect of turbines in and near to Affetside please go along to the meeting. Although there is not an opportunity to speak, the committee will be able to see that you are not happy with the increasing number of applications in this area. We are a small village located in the heart of the West Pennine Moorland and we sit astride an old Roman Road. We have a great village pub, our own church and a village green with duck pond.